JVC is backing 4K DLP technology, with a UHD HDR projector designed for home cinema. The LX-UH1 is a single chip projector which uses a 0.47-inch TRP digital micromirror device (DMD) and RGBRGB colour wheel. Brightness is quoted at 2,000 lumens, and a dynamic contrast ratio of 100,000:1. The LX-UH1 covers 100 per cent of the Rec.709 color space, and downscales wider colour gamuts. It’s compatible with both HDR10 and HLG HDR formats. When used with HDR content, users have an option to engage a two-position automatic aperture to cast the most dynamic of images. The projector offers a wide vertical and horizontal lens shift, specifically ±60 per cent vertical and ±23 per cent horizontal. The LX-UH1 has a 1.6x wide zoom lens. There is also an RS232C interface and a 12-volt screen trigger output. The projector includes two HDMI inputs, one of which is HDCP 2.2 compatible. 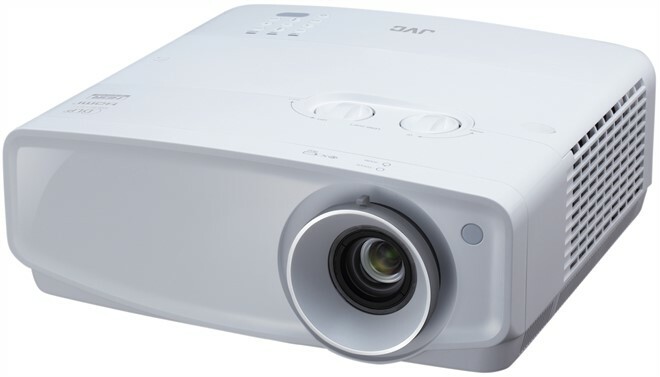 The adoption of 4K DLP technology for the LX-UH1 would seem to confirm that JVC is unable to develop an affordable UHD projector using its much lauded D-ILA projection technology. To date, the only native 4K projector from the brand has been the DLA-Z1.